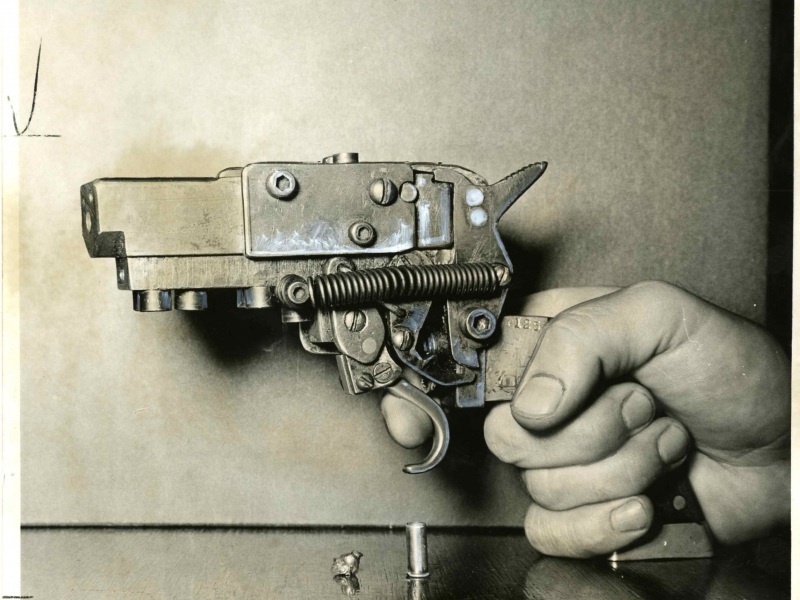 A homemade double barrel shotgun and revolver which appears to accept lengthy homemade cartridges, similar to .357 mag. 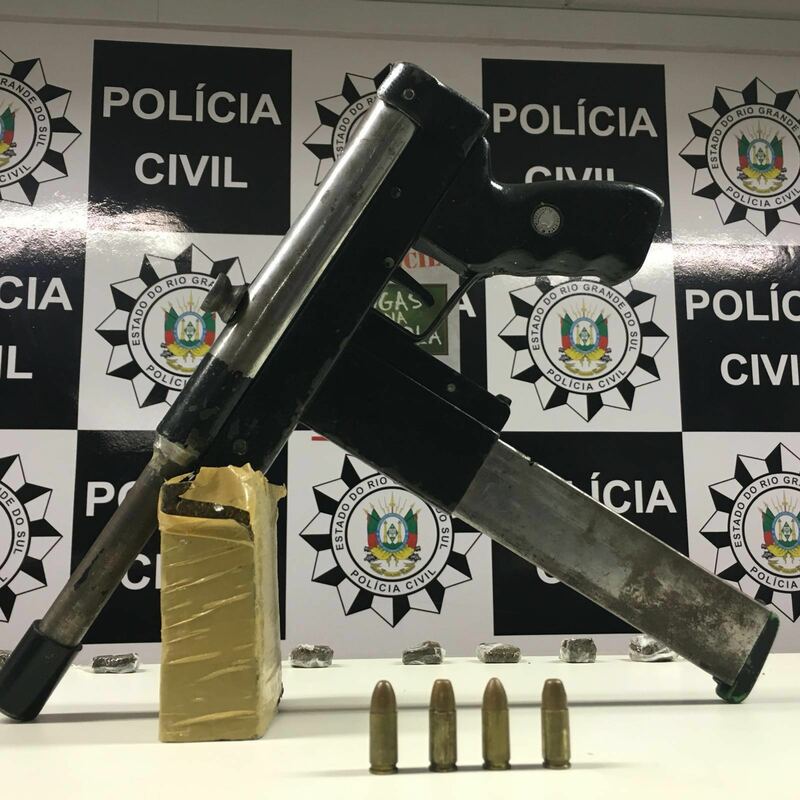 This entry was posted in Revolvers, Shotguns and tagged DIY, firearms, gun control, guns, homebuilt guns, homemade double barrel shotgun, homemade firearms, homemade guns, homemade revolver, homemade shotguns, Portugal on March 31, 2016 by ImproGuns. 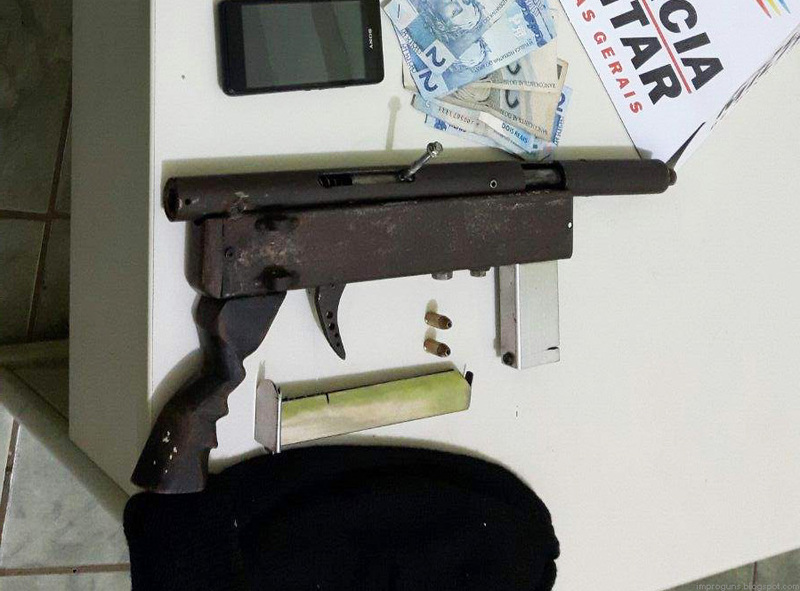 An ultra crude homemade .380 caliber submachine gun used to rob a gas station earlier this month in Marília, SP, Brazil. This entry was posted in Submachine guns and tagged Brazil, crime, DIY, firearms, gun control, guns, homebuilt guns, homebuilt machine guns, homemade firearms, homemade gun, homemade guns, homemade pistols, homemade SMG, homemade weapons, illegal firearms, improguns, improvised firearms on March 20, 2016 by ImproGuns. 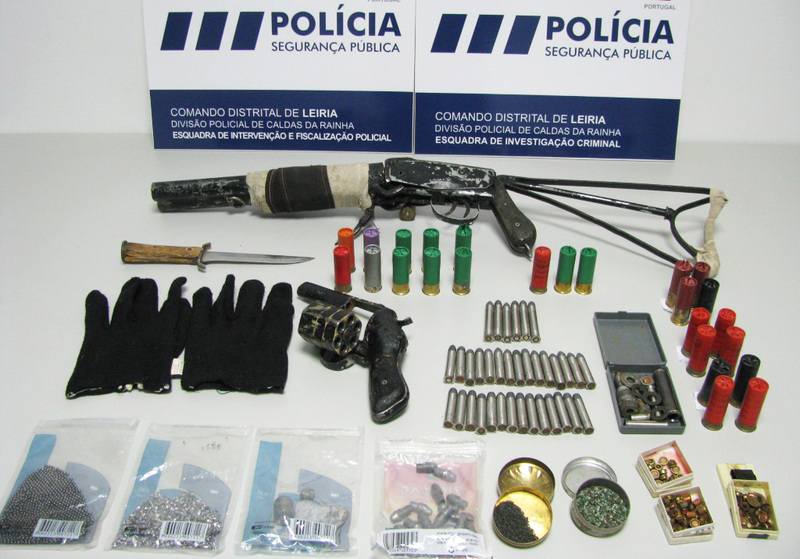 Seized from a 16 year old in Cachoeirinha region on March 2nd. This entry was posted in Submachine guns and tagged Brazil, DIY, firearms, gun control, guns, homebuilt guns, homemade firearms, homemade guns, homemade SMG, homemade submachine gun, homemade submachine guns, homemade weapons, illegal firearms, improvised firearms on March 8, 2016 by ImproGuns. This entry was posted in Zip guns and improvised firearms and tagged crime, DIY, firearms, gun control, homebuilt guns, homemade, homemade gun, homemade guns, homemade pistols, improvised firearms, zip gun, zip guns, zipgun on March 4, 2016 by ImproGuns.